Q: Could you provide our readers with a brief introduction to Gadget Flow? A: It’s the #1 platform to discover the best products on the market. 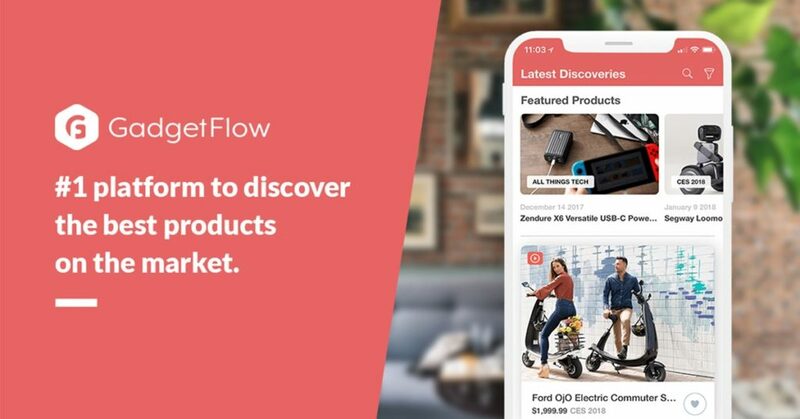 Whether you’re looking for baking supplies, camping gear, cutting edge tech, or anything in between, Gadget Flow makes it easy to find the gadget or product you’re looking for. You can even discover exclusive Gadget Flow discounts using the deal finder. Even if you have no idea what you’re looking for, Gadget Flow is super fun – and quite addictive – to browse. Our mission is to find you the best products. We believe in a simplified yet informative online shopping experience. We’ve worked with over 6,000 customers since 2012 including HP, Bang and Olufsen, and over 4,000 crowdfunding campaigns from Kickstarter and Indiegogo. Q: How did it all start? Where did you get the idea? A: Gadget Flow was a part time project back in August 2012, we had a media agency called Cloudie in which we were focusing on advertising, marketing, branding etc. The idea came to us one day that we were struggling to find quality gifts for our friends. 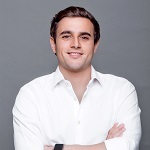 As soon as we realized its potential we closed our agency and focused 100% on Gadget Flow. Q: Tell us more about your platform. What makes it unique? A: It’s something between a marketplace like Etsy or Amazon and a blog like engadget. We basically curated 12 new products every day including weekends and holidays since 2012. You’ll find high quality products that would take you countless hours to find on Google, we are also covering the latest product releases and the hottest crowdfunding campaigns. We have create a few different features such as “your feed” in which you can select your favorite categories and stay updated with new products from these categories or the private or public wish list in which you can save products for future buys. Q: You launched augmented reality for commercial products last year; could you tell us something more? A: When Apple announced Apple ARKit back in June 2017 we were impressed, we think that’s its the future of ecommerce, it’s not going to be mainstream for a few years but anything related to AR/VR at this point is fun but not necessary practical. We sat down that following weekend and discussed wether we are going to implement ARKit into our iOS app. We’ve started working on the new version for a couple months and as soon as iOS 11 was out our app was ready, in fact we were one of first ecommerce apps that supported Apple’s ARKit technology in September 2017. Now if you have an iPhone 6+ you can open our App and head to the available in AR category to experience some of the products we showcase in augmented reality. Q: What is the biggest challenge you’ve faced in launching your business and how did you overcome it? A: Initially we launched Gadget Flow in Greece during the economic crisis and while everyone had financial issues, our goal since the first few months was to turn this into a profitable self-sustained business and we managed to do that pretty quickly, another challenge is hiring the right people at the right time, when we launched Gadget Flow (3 Greek co-founders) we were 20/21 so we were lacking the “corporate” experience and we had to go take decisions based on our instinct which was definitely hard and challenging. A: Gadget Flow keeps growing with almost 100% growth rate YoY. We keep hiring people almost every quarter and keep growing our user base as fast we can. Today we reaching close to 25M people per month with our apps, web platform, social media channels and newsletters. Our goal is to become the number 1 product discovery platform worldwide and develop engaging and useful features for our users.